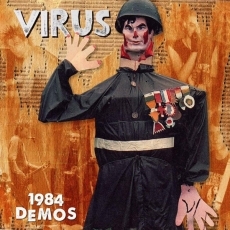 A first time collaboration between Urinal Vinyl Records, and Vomitopunkrock Records of Valencia, Spain, we bring you a vinyl reissue of the first 2 Virus demo tapes. Reproduced in extremely small numbers, there's not too many of them about now. 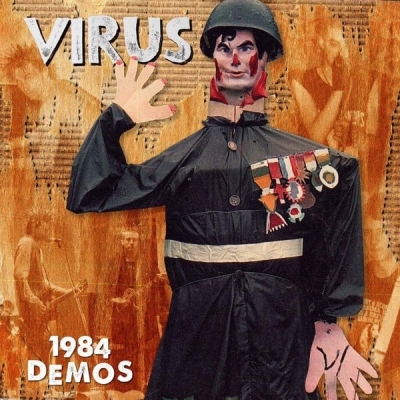 Remastered from the original cassettes, side 1 is taken from the 1st demo from sping 1984, "infected", and side 2 from the "You Can't Ignore It Forever" demo from December of that same year. Comes with 4 page insert. Classic "CRASS" era Anarcho Punk! Recorded in 1985 for Crass Records but never released, Demo Tapes do the decent thing and release this five track lost album by five piece band No Defences. The album was recorded at Southern Studios with Pete Wright producing, but it was never completed. This album has been painstakingly put together and remastered from tapes taken from the studio at the time. Their sound was anything but anarcho punk - it had a strong tribal element in the rhythm section, post punk flourishes in the guitar work and lyrics that were poetic, individual and radical. The songs were often long with multiple timing changes but always with an intensity and passion. No Defences, part of the South London squat scene, played gigs with everyone at the time from Crass to Flux of Pink Indians to Crucifix and toured with Chumbawamba and Reality Control but sounding like none of these bands. No Defences were a special band and after years and years of trying to release this album, Demo Tapes are proud to release Released 32 years after it was recorded. It comes with a full size full colour booklet with photos, lyrics, archive and a full list of every gig No Defences played.